Turkey’s new constitution will retain secularism as a principle, Prime Minister Ahmet Davutoğlu said yesterday (27 April), playing down comments from the speaker of parliament, who caused a public uproar by calling for a religious national charter. Ismail Kahraman said this week that overwhelmingly Muslim Turkey needed a religious constitution, a proposal at odds with the modern republic’s founding principles. The Grand National Assembly Speaker later said his comments were “personal views” and that the new constitution should guarantee religious freedoms. “In the new constitution which we are preparing, the principle of secularism will be included as one guaranteeing individuals’ freedom of religion and faith, and the state’s equal distance to all faith groups,” Davutoğlu said in a speech to members of his ruling AK Party. Turkish police yesterday (26 April) fired tear gas to break up protests over a call for the country to adopt a religious constitution that has sparked concerns of creeping Islamisation in the traditionally secular state. 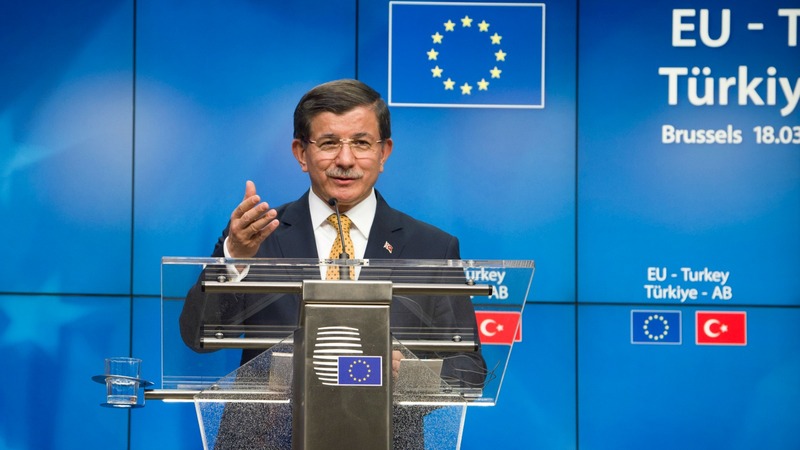 Davutoğlu also said the government would seek a “liberal interpretation” of secularism, as opposed to an “authoritarian” one. He also said the draft of the new charter will focus on an executive presidential system that reflects the national will. The Turkish presidency is now a largely ceremonial post, but President Recep Tayyip Erdoğan has made no secret of the fact that he envisages a presidency with expansive executive powers. Erdoğan and the ruling AK Party he founded, their roots in political Islam, have tried to restore the role of religion in public life. They have expanded religious education and allowed the head scarf, once banned from state offices, to be worn in colleges and parliament. Since the AKP’s re-election in November, the government has said it wants to revamp Turkey’s 1982 constitution, drafted by the military junta which took power after a 1980 coup. 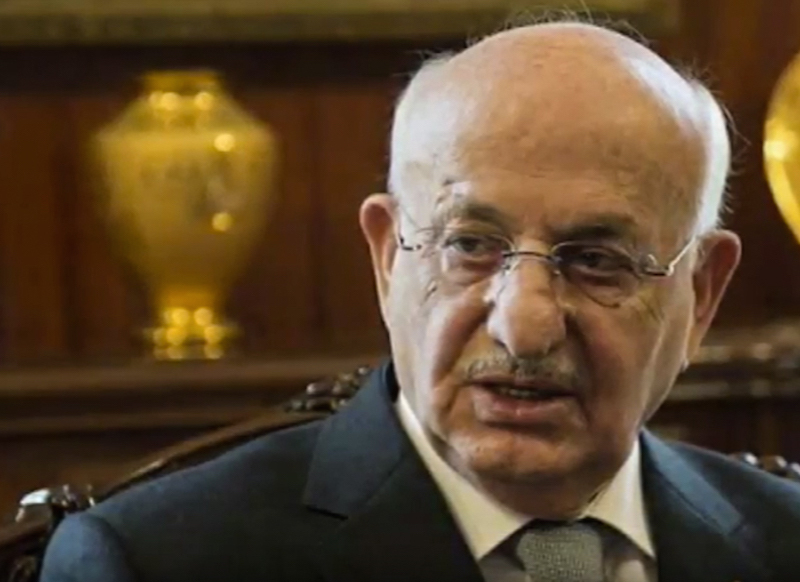 As speaker, Kahraman is overseeing efforts to draft a new text. The AKP holds 317 of the 550 seats in parliament and needs 330 votes in order to hold a referendum on proposed constitutional changes, leaving it with 13 votes to find.